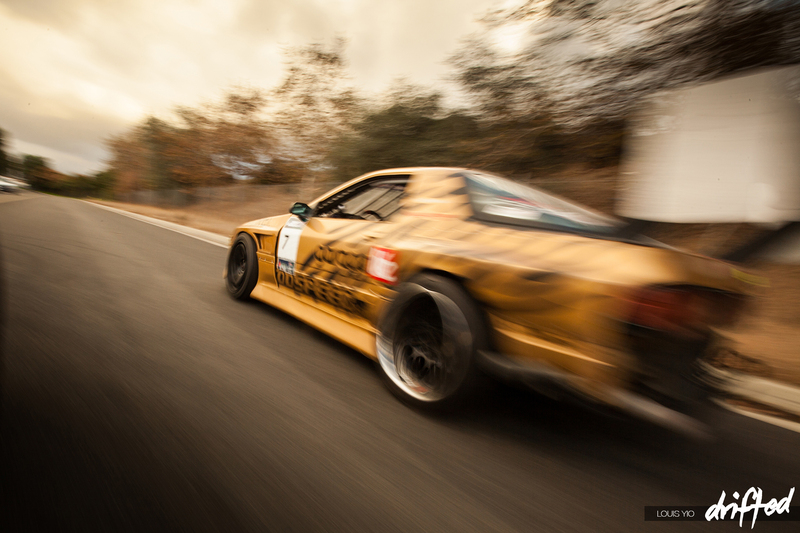 Drifting is a motorsport that comes with its ups and downs. 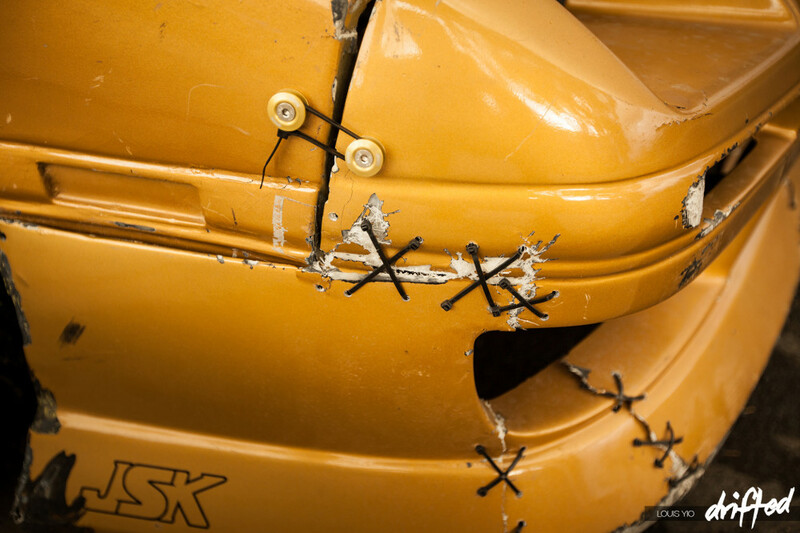 After a full season of competing, a car will get its fair share of “battle scars”, some that add to the car aesthetically, and some that do not. 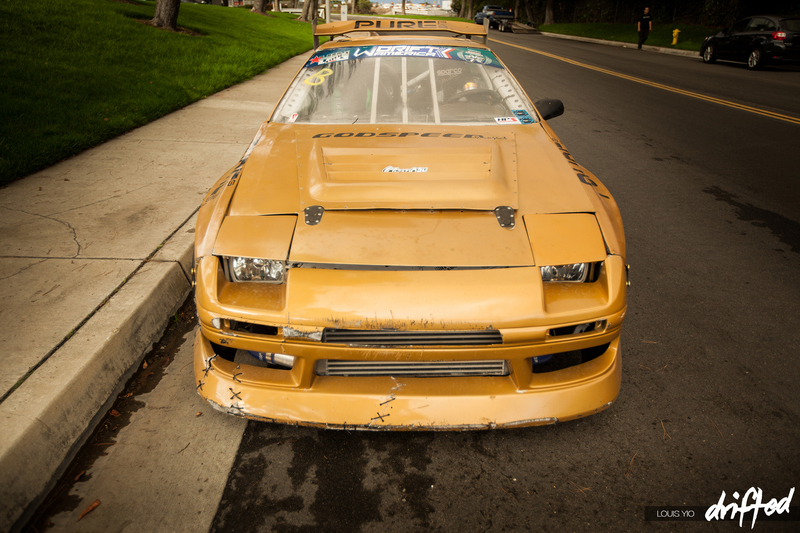 It’s good to see these scars on a drift car; it shows that the driver is pushing the car to its limit. 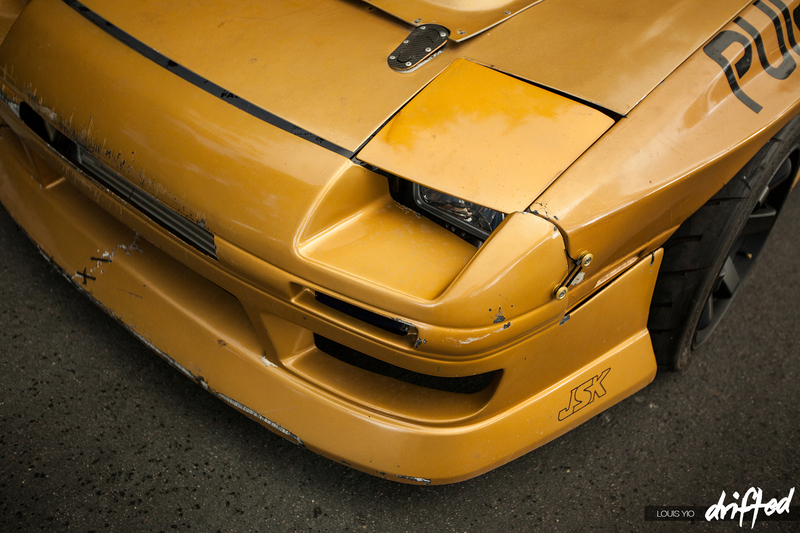 One perfect example car showing more than a few scars is Garage Life’s FC RX-7, owned and piloted by Daniel Kuo. 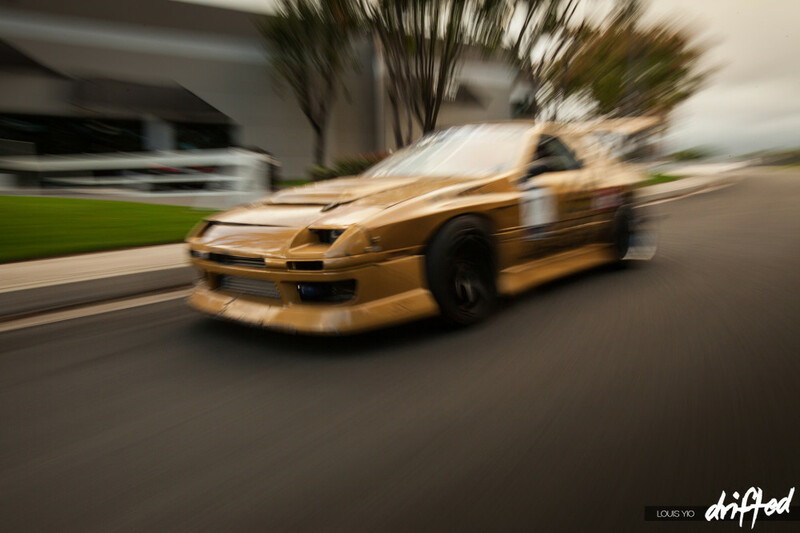 The RX-7, named Goldie, has been with Daniel for quite some time. 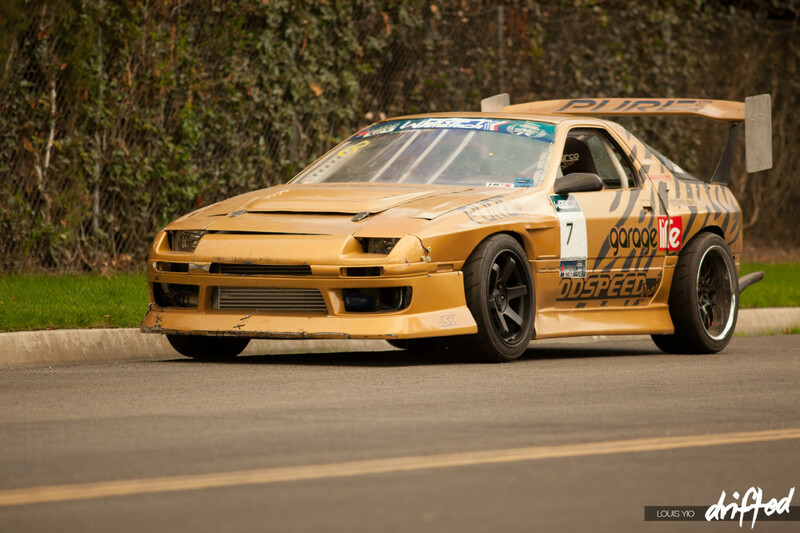 For the 2013 season, Daniel clutch-kicked this car in two drifting series: Vegas Drift and WDrift America. 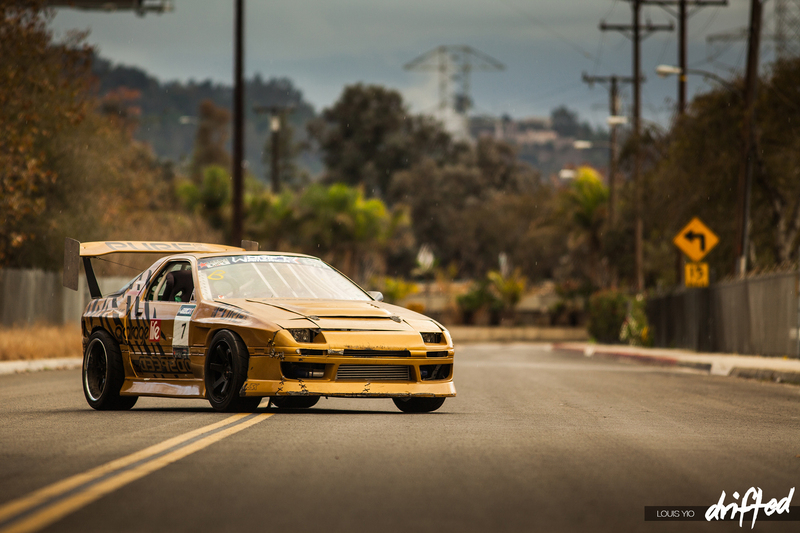 It’s not very often I see a car with a wing that is almost comparable to something you’d see on a plane, but the one equipped on this RX-7 dares to compete. 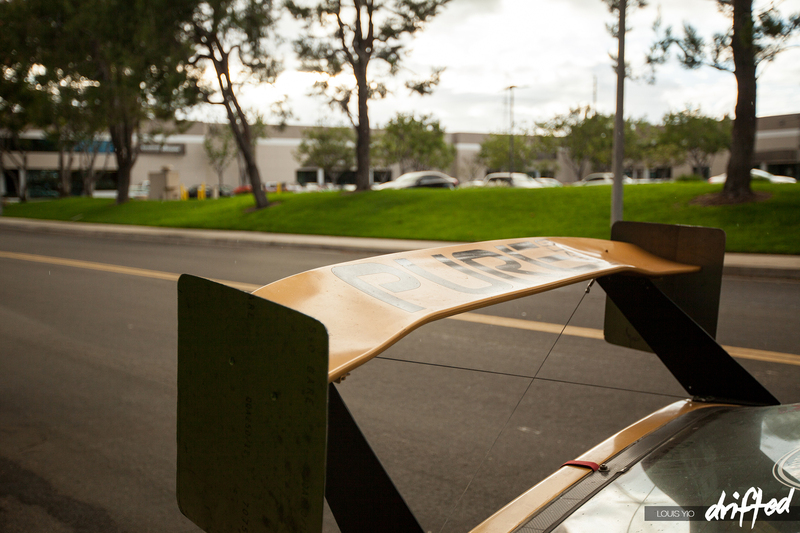 The wing is a custom-made Garage-Life GT Wing. 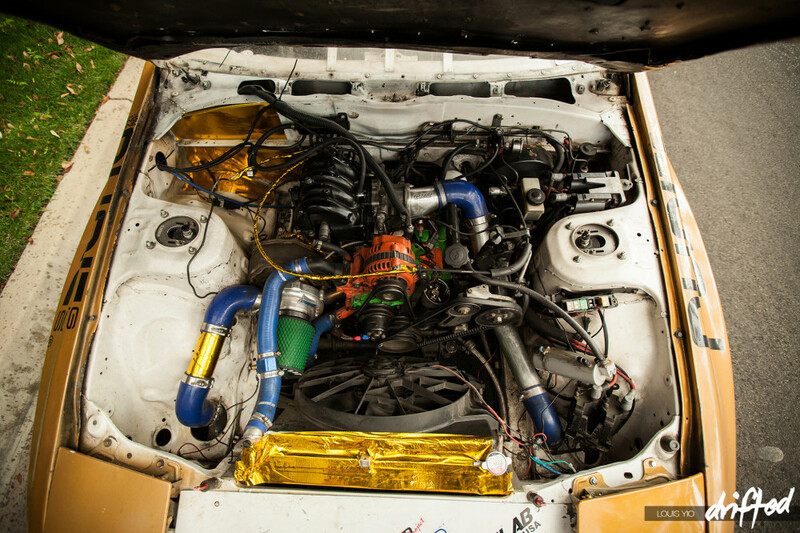 Underneath the hood of the RX-7 is the loud and proud rotary engine, producing approximately 650 horsepower to the wheels at 17 PSI. According to Daniel, the car has the capability of reaching over 800 horsepower should it ever get to compete in Formula Drift. With the majority of FD’s field using V8s, non-V8 cars need the extra power to keep up with the massive amount of torque they produce. 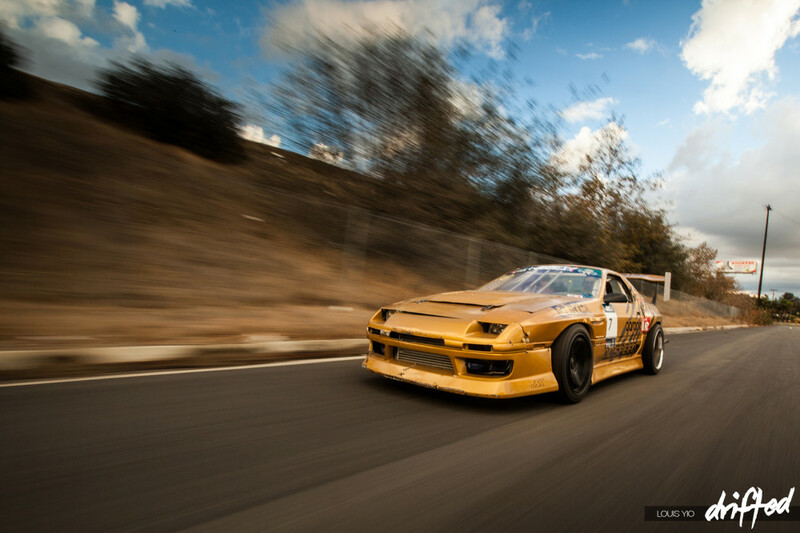 The interior of this FC isn’t meant to impress the ladies; it is in no way a show car or daily driver. It is, however, a tire-slaying drift car that is meant be driven sideways at all times, and the cabin caters to these requirements well. 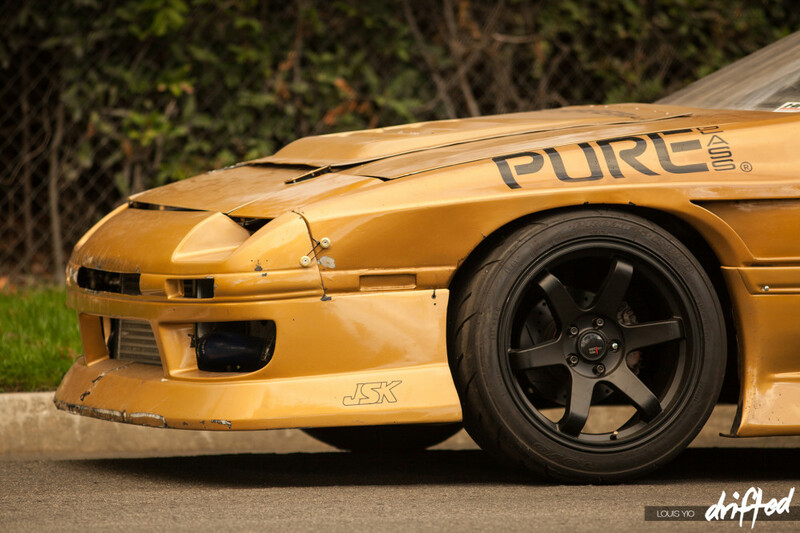 Since the car is meant for competition, a roll cage is mandatory. As with the majority of caged cars, entering and exiting the vehicle proves to be somewhat difficult. After the photoshoot, I had a couple questions for Daniel that he kindly answered. 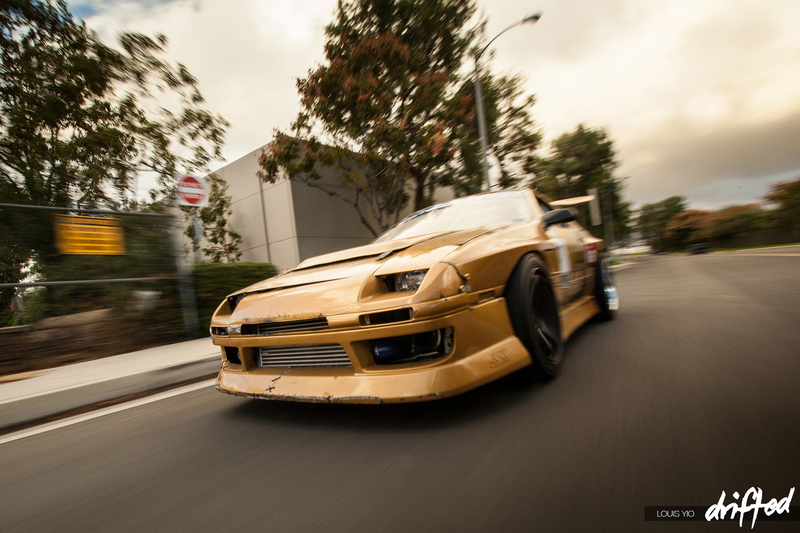 When did you get into drifting? Why choose the rotary engine? More and more people seem to be opting for V8s nowadays? Can you tell me a bit about Garage Life? Is there anything else you want to add? Any plans for the future? Here is a video I recorded with my phone of Daniel backing the car out the garage. It sounds boring until you watch it. Turn your volume up for maximum awesomeness!